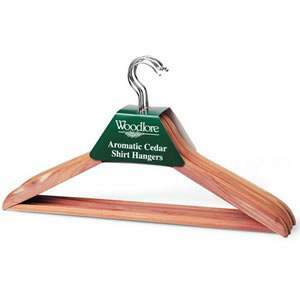 This is our top of the range Cedar Wood Suit Hanger. It replicates the human form. 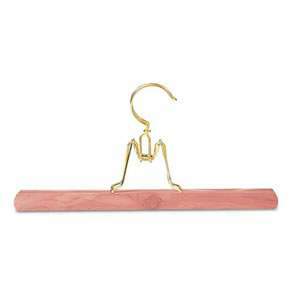 This is a substantial hanger that measures 50 cms wide ( 19 1/2" ) & up to 7cms at the neck ( 2 3/4" ). 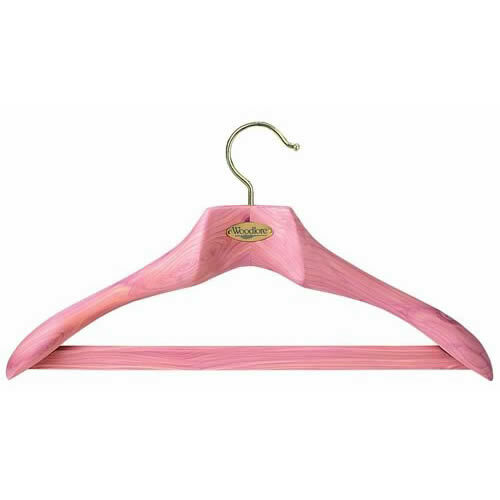 The hanger features wide shoulder pieces which supports the heaviest of coats. 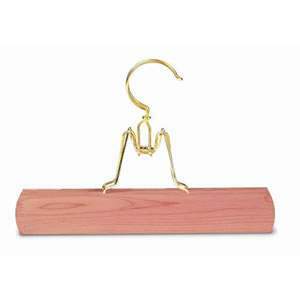 Gold plated swivel hook hanger & a ribbed trouser bar.